Ross Ventre concentrates his practice on defending insurance carriers and third-party administrators in workers' compensation matters. He has defended clients in various industries including manufacturing and distribution, home healthcare, insurance and transportation industries, among others. In his practice, he represents a wide array of clients from national corporations to small, locally-owned businesses. Ross is a former financial adviser for a global insurance firm and maintains a Pennsylvania insurance producer license. 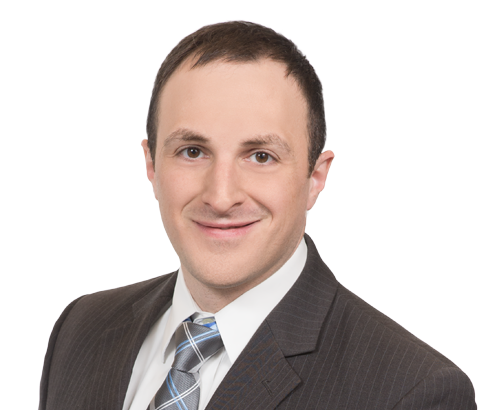 In 2015, he was recognized by the publisher of the Pennsylvania edition of Super Lawyers magazine as a "Rising Star," an honor given to the top 2.5 percent of attorneys in the Commonwealth. Successfully prosecuted a Termination Petition involving an injured worker, who sustained injuries in a rollover truck accident back in 2016. The Workers’ Compensation Judge (WCJ) accepted the testimony of the IME doctor, who found the employee had fully recovered from his cervical sprain/strain, left shoulder injury and pelvic fracture, and required no further treatment or any restrictions. The WCJ concluded that the defendant/employer met its burden of proof as it relates to the Termination Petition, and terminated benefits effective the date of the IME. As a result of the decision, the client, a national transportation company, experienced a significant cost savings.